Woody Allen's Alice (1990) came after a string of more serious endeavors, September (1987), Another Woman (1988), and Crimes and Misdemeanors (1989). While not an outright comedy, ALICE was a return to the warm, romantic nostalgia of films like The Purple Rose of Cairo (1985) and Radio Days (1987). While many often point to Annie Hall and Manhattan as the high points of Allen's career (an opinion I won't dispute here), I would argue that he had no stronger creative period than the time between 1985 and 1989. The six films he directed in those five years are among the very best of his career, yet they're often the most overlooked. Allen seemed less interested in experimenting with form during that period (although Ingmar Bergman's influence still hangs heavy) and more interested in looking inward, churning out some of his most fascinating characters and resonant plot lines. Alice marked the end of that remarkable run, returning to the magical realism of Purple Rose to tell the story of a wealthy woman named Alice (Mia Farrow) who becomes bored with her stagnant lifestyle. Surrounded by empty opulence and suffering from a bad back, she visits an acupuncturist in Chinatown named Dr. Yang (Keye Luke), who prescribes a treatment that soon has her conversing with the ghost of a former lover (Alec Baldwin), turning invisible to spy on her cheating husband (William Hurt) and her backstabbing friends, and embarking on a tentative affair with an acquaintance (Joe Mantegna). The problem is, there's really nothing in Alice that Allen hadn't done before, with better results. Unhappy women, infidelity, imaginary romantic heroes, therapy; almost all of it had been touched on in the previous five years. Alice feels like a light-hearted amalgam of the films Allen made between 1985 and 1989. And yet, it isn't without its charms. Farrow is at her most Allen-esque here; so much so that you can almost hear him saying every word of her dialogue. 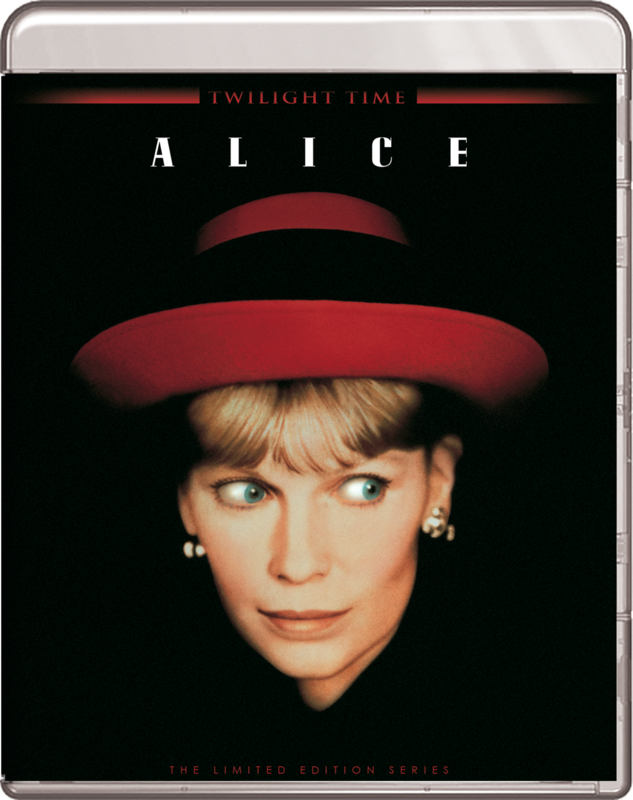 The striking costume design, most notably Farrow's red hat (beautifully rendered on Twilight Time's new Blu-Ray), adds a remarkable sense of color to her drab surroundings. Clearly Alice was meant for something more than the hand she was dealt. It's interesting, then, that at the end of the film, when she finally breaks free of the confines of her previous life, her clothes are drab and her surroundings are colorful. Allen's attention to these details is what keeps Alice afloat, along with Farrow's spirited performance. His ear for dialogue is strong as always, but the film still feels recycled. This is really the beginning of Allen's penchant for "playing the hits" rather than pushing himself and experimenting with style and form as he had in the 70s and 80s (his very next film, Shadows and Fog, attempted to return to his formal experimentation phase with decidedly lesser results). Its slight sense of innocence is part of its charm, but the magical realism seems more contrived than it did in Purple Rose, allowing Allen to take narrative shortcuts rather than really examine his characters. 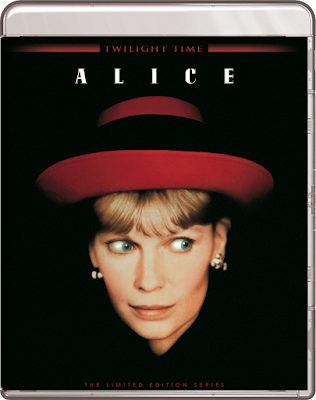 ALICE | Directed by Woody Allen | Stars Mia Farrow, William Hurt, Joe Mantegna, Alec Baldwin, Blythe Danner, Judy Davis, Keye Luke, Bernadette Peters, Cybill Shepherd | Rated PG-13 | Now available on Blu-Ray from Twilight Time.